Austin Moore Hip Prosthesis – Excel Stainless Steel (Standard Stem). 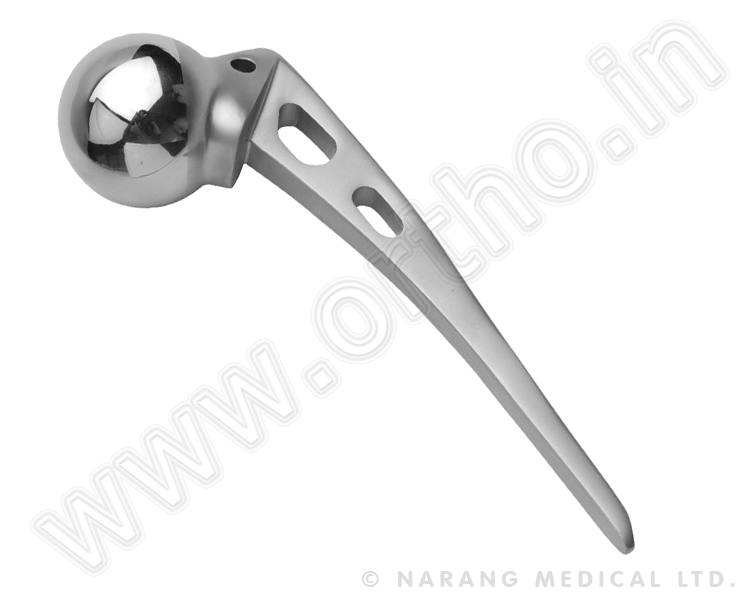 Hip Prosthesis are indicated for degenerated femoral head replacement. Designed approximately similar to anatomical shape of femoral head. The fenestrated stem allows the bonyin growth for improved fixation. The Austin Moore Hip Prosthesis is available in different head sizes to fit accurately in acetabulum. Non-Sterile Code No. *Sterile Code No. Non-Sterile Code No. *Sterile Code No. Non-Sterile Code No. *Sterile Code No.